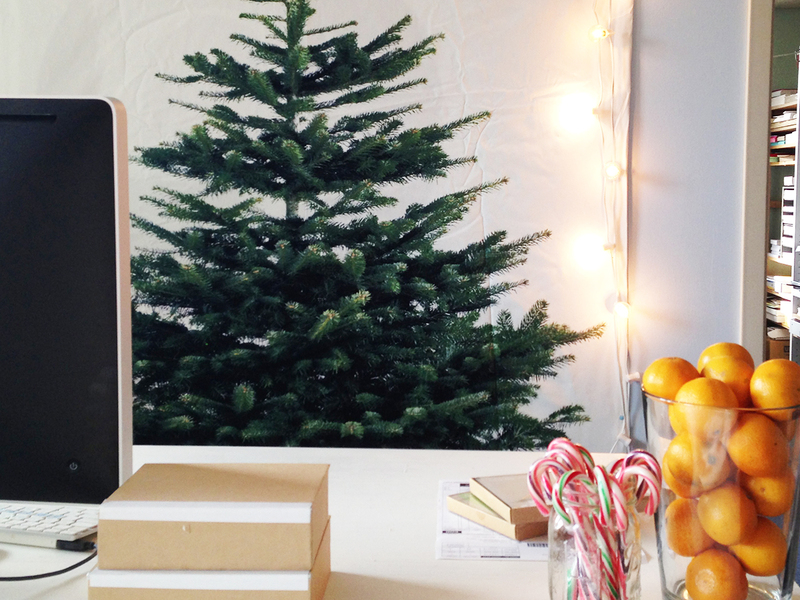 this week i hung up a christmas tree in my office to add a little cheer while i work. i also though i would send a little cheer your way. save 25% off your order and receive a gift – a wrapped box or two of notecards. 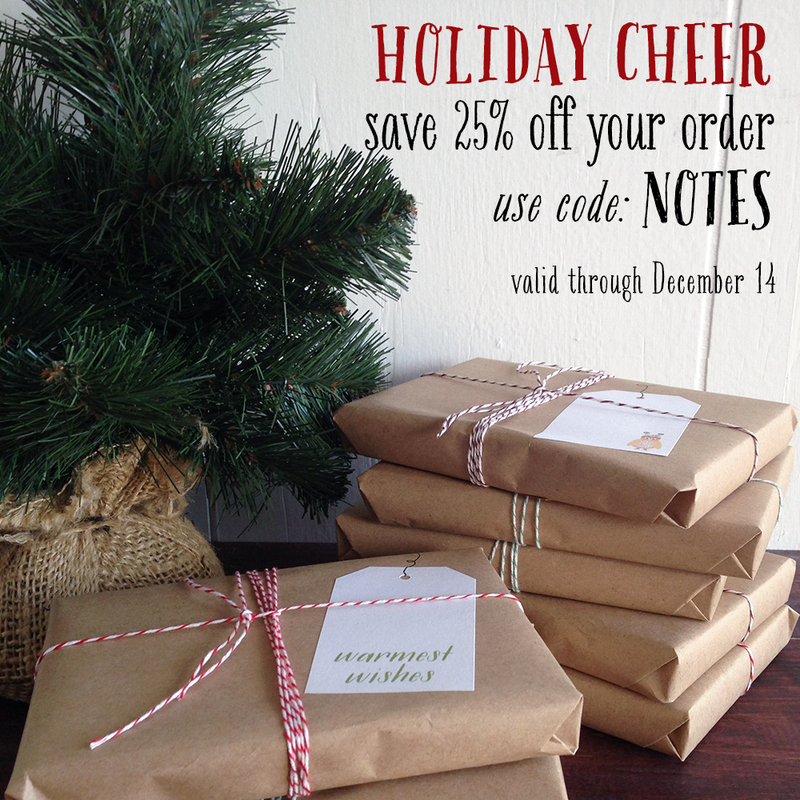 use the code NOTES at checkout (valid until december 14). 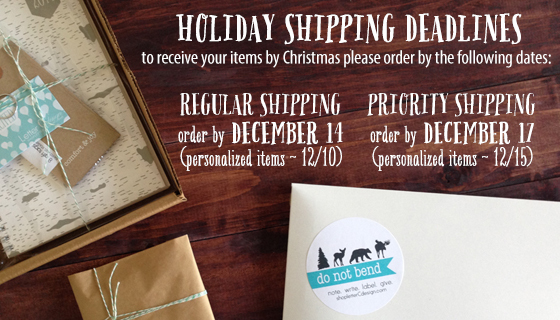 also, please note the following dates to make sure you receive your order before christmas.